Straight out of a fever dream and into your garage, the Pegassi Torero is now available in GTA Online. 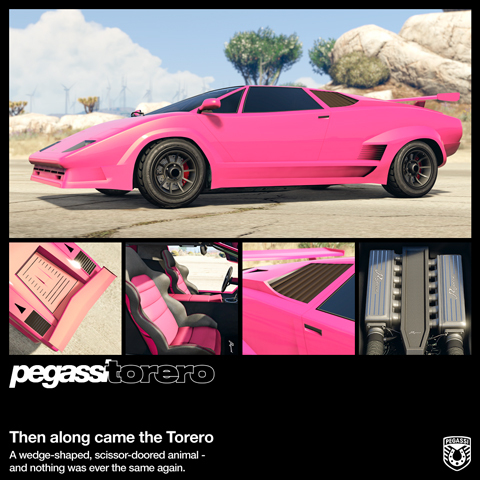 One for the collectors, the Torero is a sleek, scissor-doored classic that reflects Pegassi's time-honored tradition of balls-to-the-wall design twinned with bone-splintering performance. And with 25% off Engine Upgrades through July 31st, you can start your midlife crisis off proper when you pick up this Sports Classic at Legendary Motorsport today. Squad up and fight for the right to control the minigun-toting Juggernaut in Power Mad, the latest Adversary Mode to hit GTA Online. In Power Mad, teams of two to four players fight for possession of the vital Juggernaut power-up, which turns its wielder into a heavily armored menace with one main objective: stay alive long enough to fill the meter and score a point. If the Juggernaut dies before filling the meter, the power-up is dropped and ready for a new would-be king to try their luck. Lay waste to the competition and earn Double GTA$ & RP in Power Mad now through July 31st. Your Bunker Research Technicians are working overtime this week, boosting Research speeds by 25% to help you get your hands on Gunrunning’s weapon attachments, Weaponized Vehicle upgrades and more. Take advantage of faster Research and faster unlocks with 25% off the Weapon and Vehicle Workshop modules for your Mobile Operations Center through July 31st. And speed demons running guns across Southern San Andreas can also upgrade their fleet of getaway vehicles with 25% off Engine Upgrades. Premium Races can be launched through the Quick Job App on your in-game phone or via the yellow corona at Legion Square. Finish in the top three and earn a nice chunk of GTA$, and receive Triple RP just for taking part. To try your hand at Time Trials, simply set a waypoint to the marker on your in-game map and enter via the purple corona. 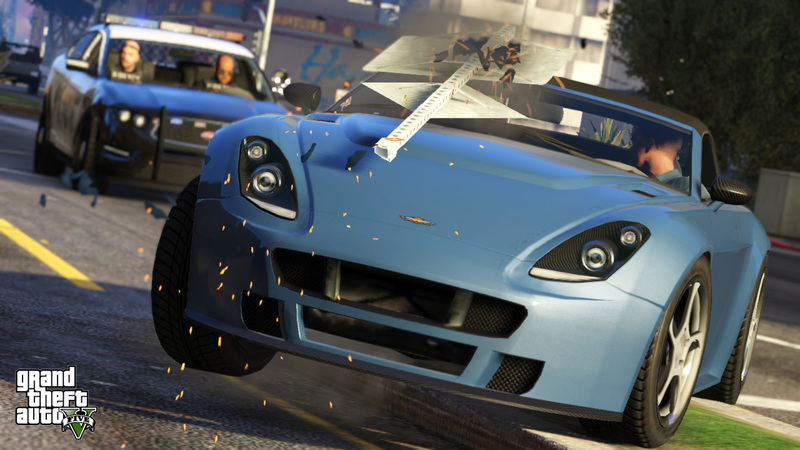 Beat par time and you'll be rewarded with sizable GTA$ & RP payouts. Pegassi Torero & Power Mad Mode Now Available - Get your hands on the new Pegassi Torero and check out the new Power Mad Adversary Mode in new-gen GTA Online.